Carol Cunningham is the Fitness Manager at Virgin Active in Raffles Place. 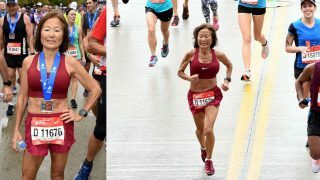 An Australian Level 2 Running Coach with experience in over 50 half marathons and 25 marathons around the world, she is passionate about helping others enjoy running as much as she does. 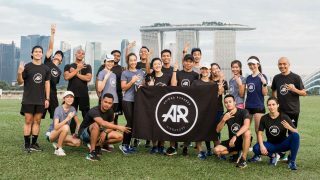 Carol regularly trains clients for local Singaporean events and believes that having a balanced training programme that includes resistance training alongside running is one of the most effective ways to develop good movement patterns, an essential tool for runners at all levels. 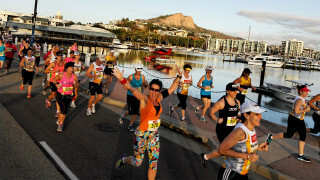 Back in 1999, The first Townsville Running Festival had 26 finishers for the marathon, 58 finishers for the half marathon, and 31 finished the 10 Km. Over the years the festival has grown steadily both in event offering (there is now a 5km race) and attendance. 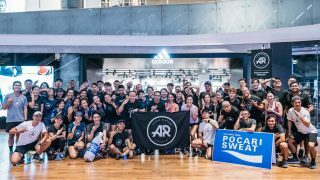 2015 attracted a record turnout of 3,264 participants, drawing runners from 17 countries including the UK, Germany, France, Japan, Korea, New Zealand and more. 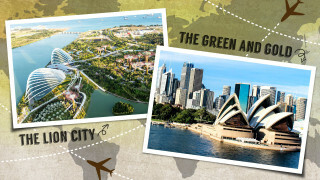 I’ve recently come back to live in Australia after spending 18 months residing in Singapore. And what a blast I had. The recreational running scene in Singapore is at an all time high with a record number of events in 2014. And skoot over to Australia and I’m not to be disappointed. Recreational running is one of Australia’s most popular sporting activities now spawning it’s own dedicated facebook page promoting events across the country. Do you pound the pavements? Race along the road? Sprint across the sand? Or gallop on grass? 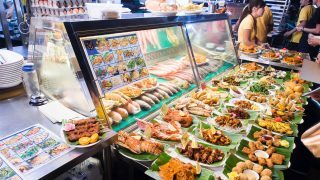 After recently training for a marathon and spending most of my time out on the road, I decided to use my post-race recovery to explore what else is in offer for the running enthusiast in search of a more varied, and hopefully, more forgiving terrain. The thermometer is creeping over 30 degrees Celsius and humidity is 70%. The relentless sun is beating down and you resemble a tap with sweat dripping off every orifice of your body. For those living in warm climates, this is a daily scenario we are all too familiar with when we venture outside for our daily jogs. 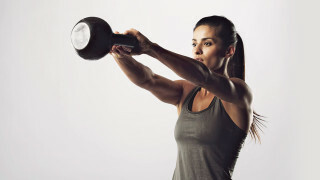 Kettlebells are a familiar place in fitness clubs and sports stores across Singapore, but have you ever used them? 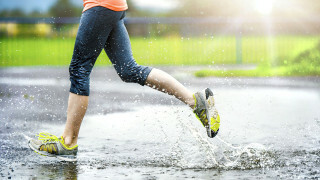 Improving your running is not just about pounding the pavement. Give your feet a break and work your core with this selection of 5 key Pilates exercises that are sure to have you running tall and strong at your next race! 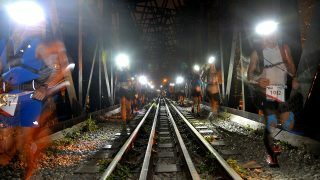 The North Face 100 Singapore Race 2014: 3,200 Trail Seekers Found the Spirit of Exploration in Singapore! Part of the North Face 100 Asian series, the North Face 100 (TNF100) Singapore is a popular event offering a variety of moderate (13km and 25km) to challenging (50km and 100km) distances, and a spectacular course that promises to take you away from the hustle and bustle of daily Singapore life. Straits Times Run at the Hub 2014: Over 20,000 Runners Were First to Finish at the Brand-New Singapore Sports Hub! 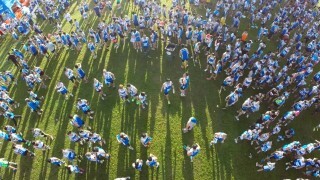 The inaugural Straits Times (ST) Run at the Hub had all the hallmarks of being a great event. 3 categories of events (21.1km, 10km, 5km) enabling over 20,000 running athletes of all levels to take part. Saucony Ride 7 Revs up Your Running Comfort! 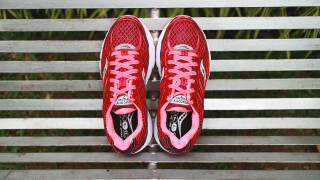 The 7th edition of the Saucony Ride was my first trial of this brand. Opening the box, I was interested to see how this cushioned shoe would respond in the recent move towards all things minimalist. 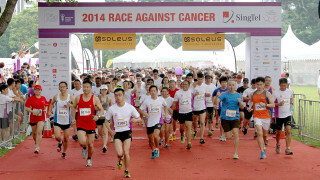 Following success in previous years, the SingTel Race Against Cancer returned in 2014 for the 6th time this year, with 15km, 10km and 5km distances. 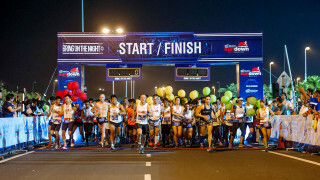 Following the success of Sundown in Singapore over the last few years, 22 June 2014 saw the race series march north and venture for the first time into Malaysia. 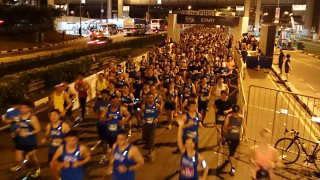 Returning for its third edition, runners clad in the distinctive blue and white of the Pocari Sweat Run welcomed no less than 9,000 participants to Nicoll Highway last Sunday.